this bag is definitely going to get a lot of wear. 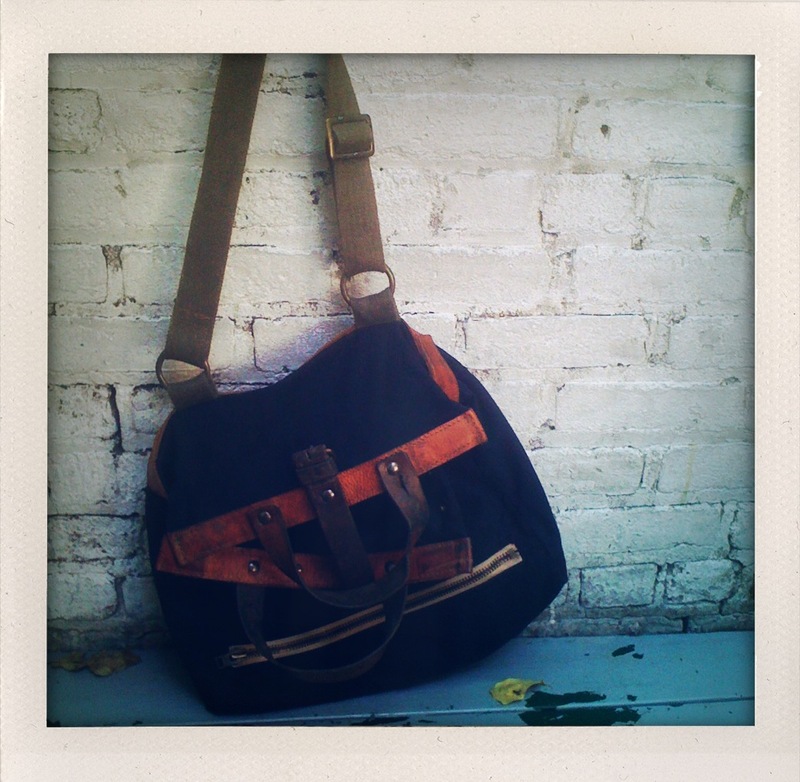 it's made completely of vintage military canvas, leather belts, and straps. they are all one of a kind and a great way to refashion vintage military for women and men. the line is called GGE Restorations. or at least i think so. the label inside is vague and mentions that the bags are distributed only through word of mouth. the store alone that carries this bag is also amazing.